Ophthalmic Low Temperature Sterile Cautery x 10. Aaron manufactures four different cauteries specifically designed for ophthalmology. 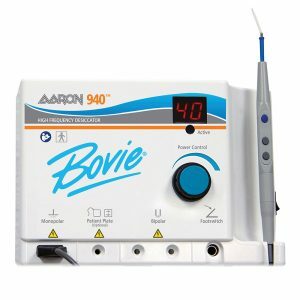 Cautery High Temperature These patented Aaron RAM™ cauteries have an impressive three-year shelf-life and are quite simply the best cauteries ever made. With a variety of low temperatures and fine tips the surgeon is assured of precise pinpoint hemostasis. All disposable cauteries are individually packaged sterile 10 per box.